To improve your credit score and keep mistakes from sneaking into your credit report, it’s important to routinely monitor your credit information. Many consumers use AnnualCreditReport.com to obtain one free credit report from each of the major credit agencies. This website is authorized by federal law to offer free credit reports to consumers. By using this website, consumers can keep track of their credit information without needing to pay any money. Since credit reports can normally be very expensive, this website can save consumers a substantial amount of money. This will take a look at how AnnualCreditReport.com can help consumers to keep track of their credit scores. In 2003, the United States federal government passed a law called the Fair and Accurate Credit Transactions Act (FACTA). This act modified the existing Fair Credit Reporting Act (FCRA). FACTA included legislation that requires the three major credit agencies to offer free credit information for consumers. In former times, consumers would have to request expensive reports to understand their creditworthiness. As a result, there was a lot of ambiguity in the lending process. In today’s world, AnnualCreditReport.com has removed most of this uncertainty. In compliance with FACTA, all three of the major credit agencies have chosen to use AnnualCreditReport.com. This makes it easy for consumers to quickly check their credit scores from a single online destination. AnnualCreditReport.com offers a rich array of information for consumers to understand their credit history. Each year, consumers can receive a free credit score from all three of the major credit agencies. These credit agencies include Experian, Equifax, and TransUnion. Since almost all creditors exclusively use these major credit agencies, viewing this information can make it easier for consumers to understand why they cannot get approved for certain loans. These credit reports offer detailed information that includes outstanding loan balances, late payments, and accounts in collections. Under federal law, all creditors are required to include reliable contact information on these reports. This can make it easy for consumers to get in touch with creditors to solve some of their existing credit disputes. 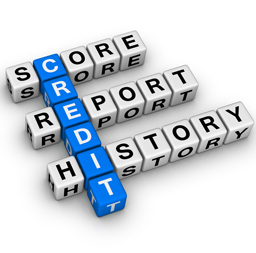 Under FACTA, all three of the major credit agencies are required to offer an annual credit report for free. Many consumers do not realize that they can receive this information over the phone, by mail, or online. However, the easiest way to obtain this information is by simply using AnnualCreditReport.com. Consumers are able to use this website to receive a free credit report from each credit agency every 12 months. However, savvy consumers can use this website to check their credit score three times per year. Consumers should use just one free credit reports at different times throughout the year. By doing this, consumers can be more responsive to potential problems with their credit history. Instead of having to wait a year to solve a credit dispute, consumers who do this can cut the waiting time down to just four months. This can make it more difficult for creditors to claim that a dispute is invalid due to an excessive amount of time. All consumers who want to borrow money at affordable rates should use AnnualCreditReport.com. This website can make it easy for consumers to keep track of how their credit scores are doing. By checking this information, it can be easier for consumers to increase their credit scores. As credit scores rise, consumers will not need to pay as much money in bank fees and interest rates. Monitoring a credit score can also make it easier to get approved for a loan. The scope of the credit information available through AnnualCreditReport.com is somewhat limited. Consumers who use this website are only able to see their credit score and total amounts of outstanding debt. If consumers are not careful, they could end up paying money for their credit reports. Many of the credit agencies attempt to upsell visitors as they try to access their credit report. To avoid accidentally paying fees, consumers should avoid inputting a credit card number while accessing their credit information.